Today we’re giving away a massive UI kit PSD. 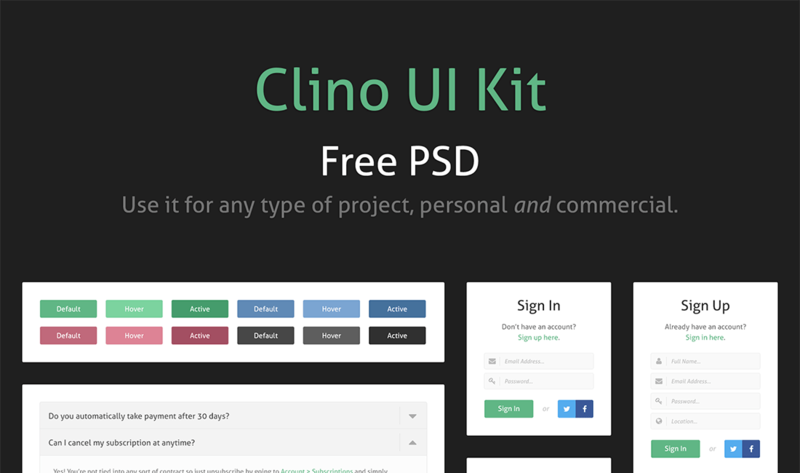 It’s a full UI kit called Clino and it was designed specifically for Inspirational Pixels. 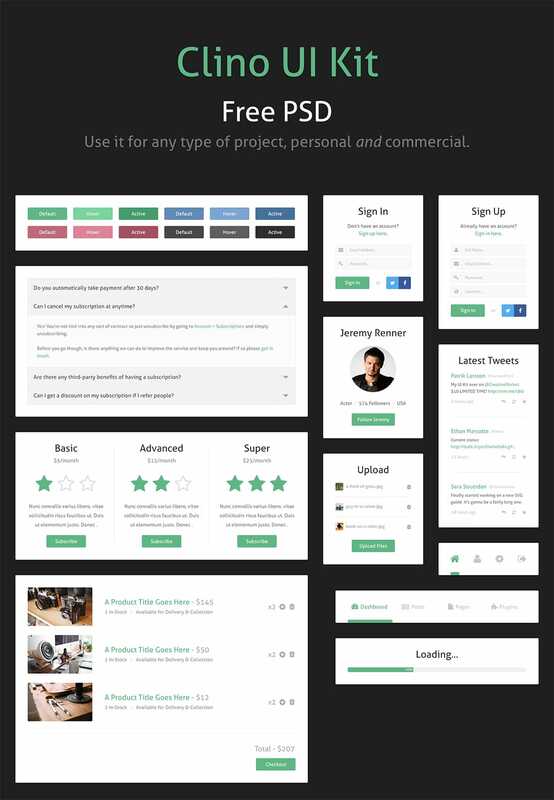 You can use it completely free on both personal and commercial projects, no need to link back to this page. However, if you would like to promote this UI kit you’re not allowed to host the downloadable file and/or make it out to be your own. Please link back to this page. Looking for more free PSDs and wallpapers? Go check out the freebies section. very good, i like it. thank you!